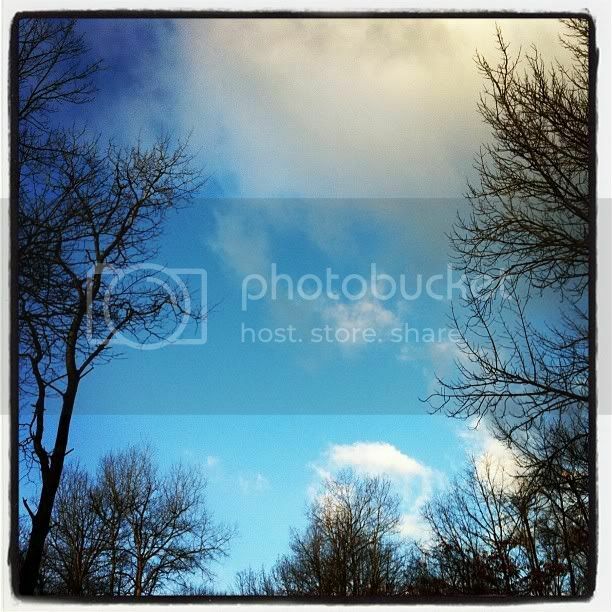 I have been playing around with Instagram a lot lately and having some fun with it. 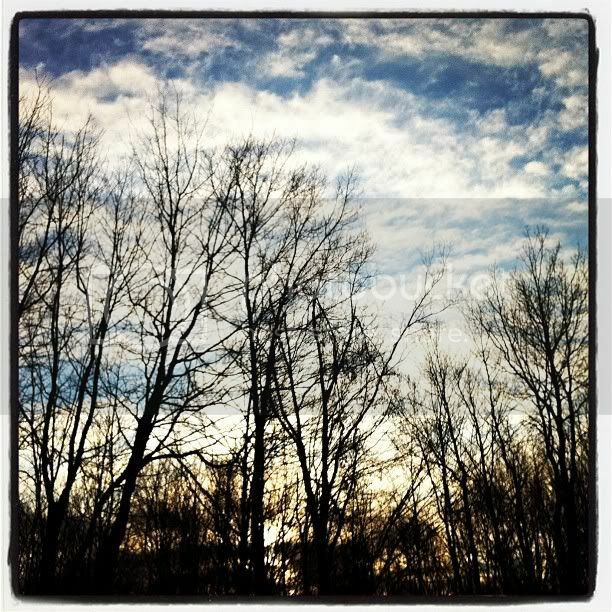 Often times I bring my iPhone outside with me in the morning while we wait for the bus and I am able to get some neat shots of the sky to share on Instagram. These are a few of my favorites. 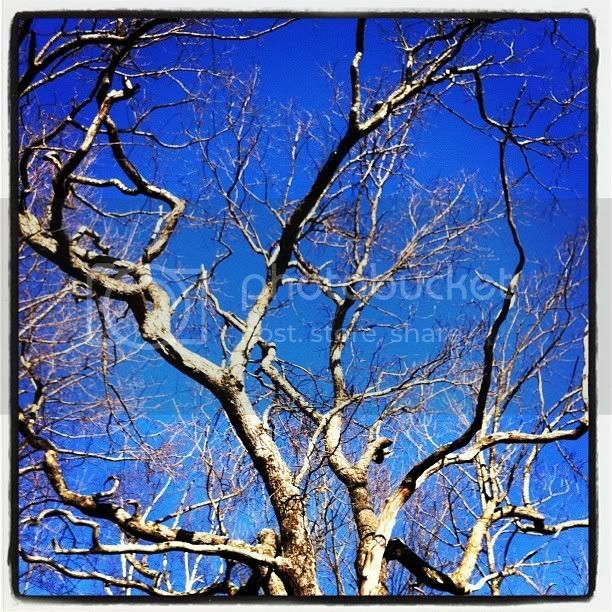 If you are on Instagram, I would love to follow you! 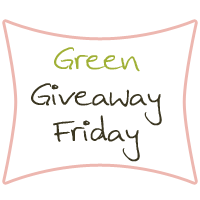 Just leave me your username, mine is greenmamaspad. I am not so great when it comes to being organized. To be honest, I flat out stink. Our home office can vouch for that as it is the scariest room in the house. I also like to call it the dumping grounds. Company is coming over? "Quick, throw all the junk from the kitchen island into the office!" 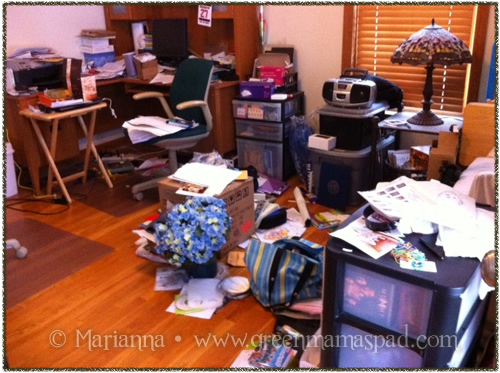 Over time all of that junk builds up until you can barely walk into the room. It even starts to injure people when in an attempt to turn on your Wi-Fi network, your mother falls and nearly loses a limb. There is no question that I want to clean and organize it, but I like to procrastinate. Which is kind of the reason I am even in this situation in the first place. 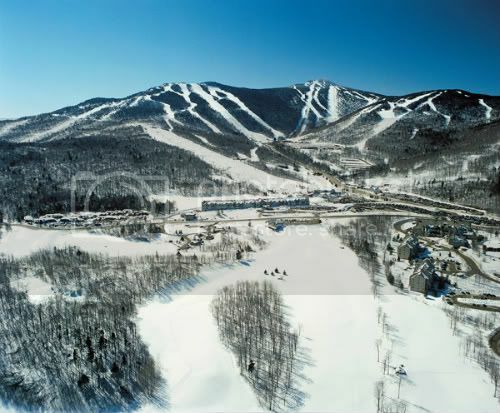 However, I have a big trip coming up soon and I promised my husband that I would get it done before I left. So operation clean up the office has begun. This is my office this past Sunday. It looks ridiculous right? Well, this is AFTER I spent a few hours for three days working on it. I wish I had taken a true before picture, it was frightening. Sadly, I have to admit that 99% of it is mine. Over to the left just out of the picture is my husband's desk which while not perfect, is in much better shape than mine. But wait a second Marianna, you said it PAYS to get organized? Yes I did say that. While cleaning off my desk on Sunday and sifting through papers I came a cross a stack of gift cards: Victoria's Secret, New York & Co. and three for Kohl's. I called to get the balance for each one and it turns out I have $30 to spend at New York & Co and $134 for Kohl's! I could get myself an outfit or two for my upcoming trip! That is very exciting stuff. I never buy myself new clothes - as I type this I am wearing some pretty scruffy looking yoga pants. So I still have a littl ways to go, but the office is already looking even better then it does in the picture above. Once I can get rid of all the junk and put everything in its place, it will be awesome to finally be able to work at my desk again. I haven't sat at my desk in like two years. I will for sure have to post an after photo. 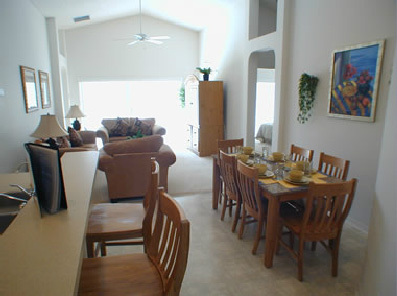 What room in your house is in some desperate need of organization? Have you ever come across surprise finds like money or gift cards while cleaning up? The Winter colrd has finally hit Connecticut, and I don't like it. I'm ready for Spring! What's the weather like in your neck of the woods? In lieu of Wordless Wednesday or any other posts for Wednesday, I will leave you today with only this post and infographics on SOPA / PIPA. I strongly suggest you take a few moments learn more about these bills and contact your senators and representatives to let them know they should NOT support these bills. 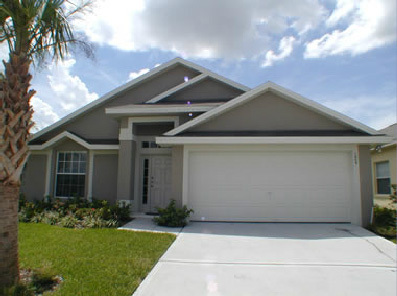 For more information visit AmericanCensorship.org and StopSOPA.com. I know I have been talking a lot about Ford and cars lately, so if you hate cars than I am sorry. But this is more about blogging and bloggers in general, it just so happens this topic was sparked by the 150 bloggers that Ford brought to Detroit. Apparently, since Ford paid to bring me out, paid for my hotel and fed me an obscene amount of food (which I gladly ate a ton of), that means they are buying my voice. Buying my opinions on their vehicles. That could not be further from the truth. 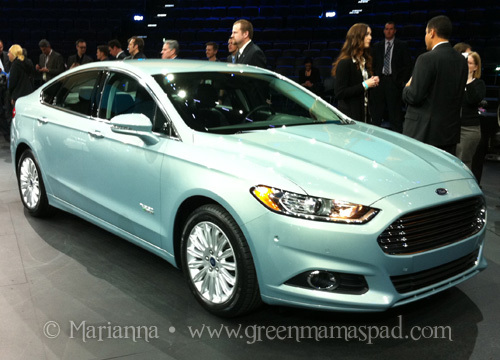 While we were all enjoying the Ford press conference and reveal of the Ford Fusion, we were also all tweeting like mad. It was fun and engaging. Then a Twitter argument started. I don't do drama, I don't have time for it. But while I didn't participate in the debate, I did follow it and read a long. All the time becoming more and more aggravated. Aggravated that people don't consider bloggers to be true journalists. That they think we can so easily be bought. Just because I receive a product for "free" does not mean I will automatically praise it with a stellar review. 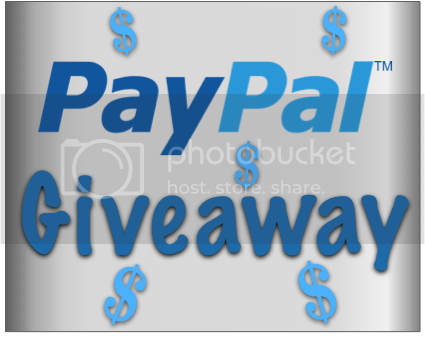 First of all, I put a lot of time and energy into my reviews, so its not free. Instead of paying with money I pay with my time. I am picky when it comes to review items. I will only review something that I know my family will enjoy and use. So generally you won't see an all out negative review, but I will indicate any negatives of a product within my review. And just because Ford flew me out to Detroit and pampered me does not mean they bought my voice. I had a blast out in Detroit. I met some new people who I plan to keep chatting with and engaged with a brand that clearly values social media. Ford did not give me talking points. 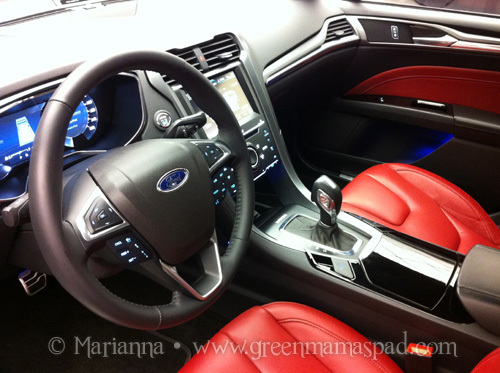 Ford did not give me expectations of what they wanted me to tweet about or blog about. 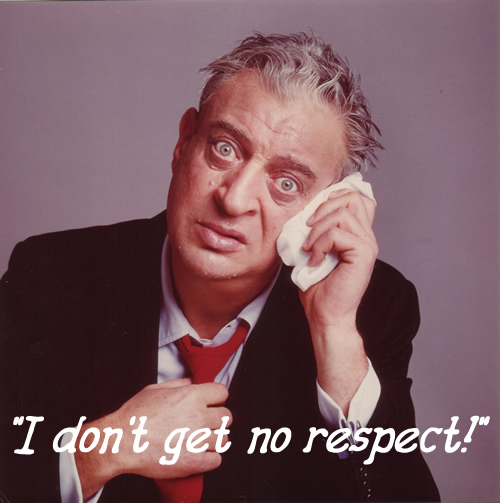 In fact, I wasn't given ANY expectations. 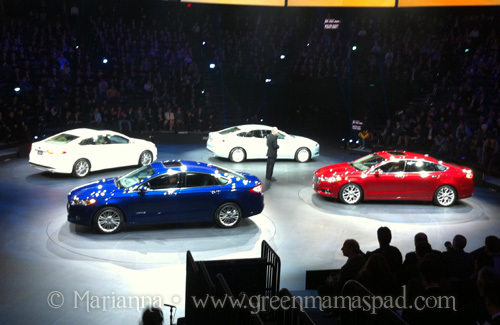 We were able to walk freely around the auto show to look at other brands. We weren't held hostage in the Ford area. In my mind I went their to learn about their vehicles, their green initiatives and if I found it interesting, I would share it with my readers and followers. And that is what I did. Of course a question was also raised about why Ford chose to bring mom bloggers to the show. Its not bad enough that Bloggers in general can get a bad rap, but then within the blogging community, mom bloggers get even less respect it seems. Why would a mom be an important person to show new cars too? Hmmm. Well, as a mom of 4 children I am the parent who does 90% of the transporting of said children. So myself, and other moms, play a HUGE part in the purchase of family automobiles. Mom bloggers as a whole have large followings and reach, so to me bringing out a few mom bloggers makes complete sense. 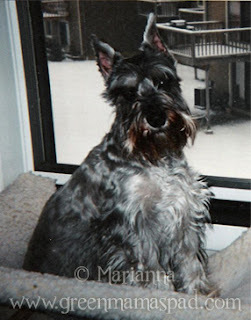 So anyway, my point is that my voice is just that: MY voice. No one can buy it. No amount of food and chocolate covered potato chips can change how I feel or influence what I say. 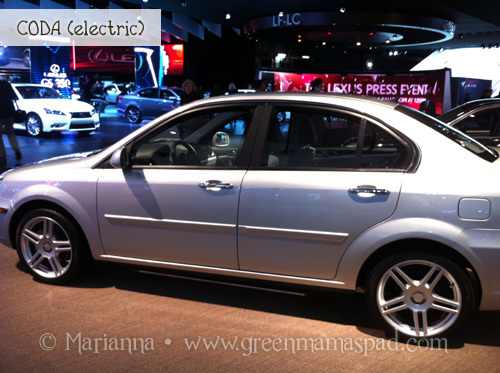 In addition to checking out the new 2013 Ford Fusion at the North American International Auto Show last week in Detroit, I also spent some time walking around looking for other electric cars. There were actually a lot of them, which is a very good thing. 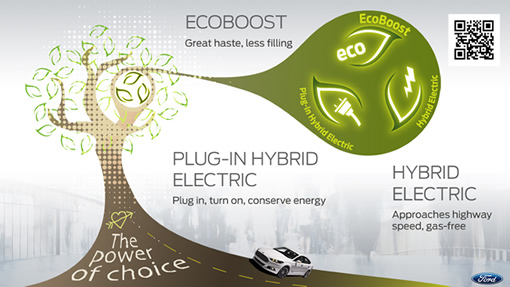 Are car companies finally embracing the fact that alternative fuels are the future for the automobile? I certainly hope so. I wish I had more time to see them all and read more about their details. Unfortunately I never made it over to the Nissan Leaf, which I would have loved to see. 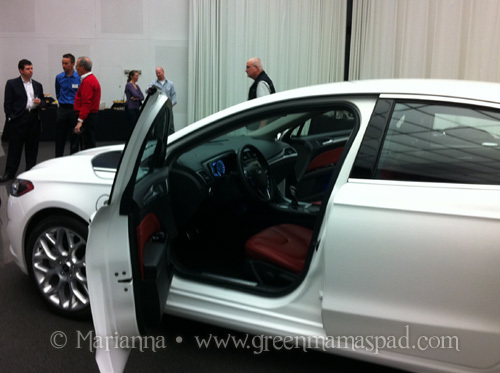 Here is a quick peak at a few of the other eco cars I spotted. 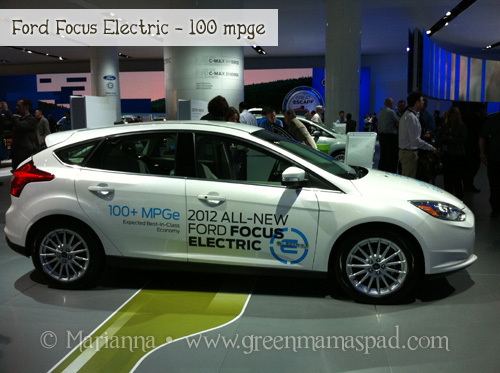 The 2012 Ford Focus Electric is gas free and 100% electric. It is powered by an advanced high-voltage, lithium-ion battery system and boasts 100 MPGe. But the eco-friendly aspect of this car doesn't stop at the engine. Inside the Ford Focus Electric are cloth seats with fabric made with REPREVE® fiber, which is produced from 100% recycled materials. In fact one seat is made from 22 recycled plastic bottles. 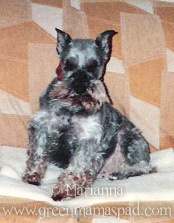 The foam in the seat cushions is derived from plant oils. Starting MSRP of $39,200. 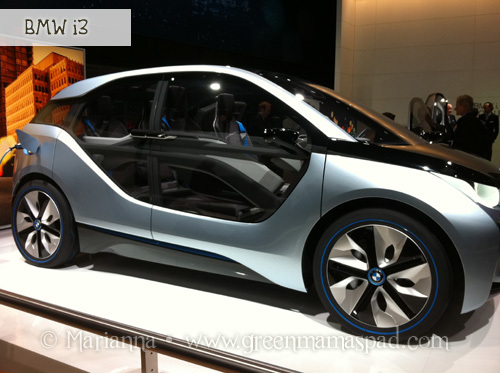 The BMW i3 electric vehicle is a five door hatchback made from mostly aluminum and carbon-fiber reinforced plastic. This futuristic concept car has a liquid cooled lithium-ion battery and on a full charge can drive between 80 and 100 miles. The Toyota Prius Hybrid is one of Toyota's top selling models in the United States. It is not surprising with its 51 MPG and affordable starting price of $23,520. 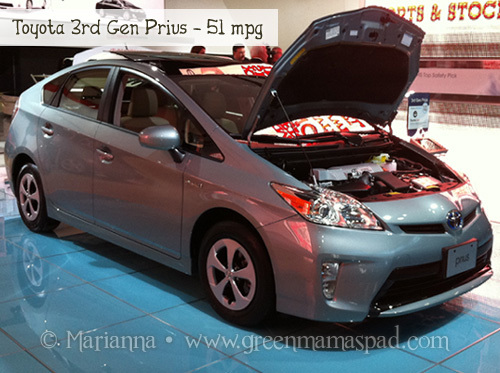 In Spring 2012 look for the Prius Plug-In Hybrid model. 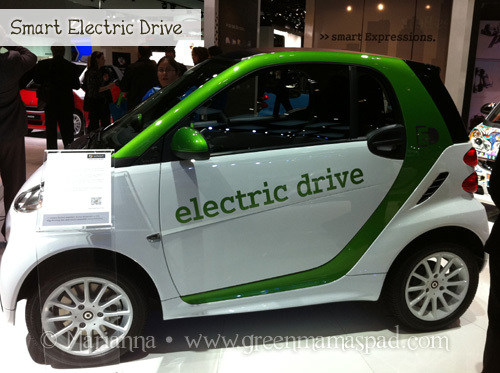 The Smart Car Electric Drive is a cute little eco car. This two passenger electric car also has a lithium-ion battery and has a range of about 63 miles. It can be charged in any home socket. Obviously not ideal for a large family like ours, but could be a good commuter car. If I had to drive to work every day again, I wouldn't mind using something like this instead of my minivan. 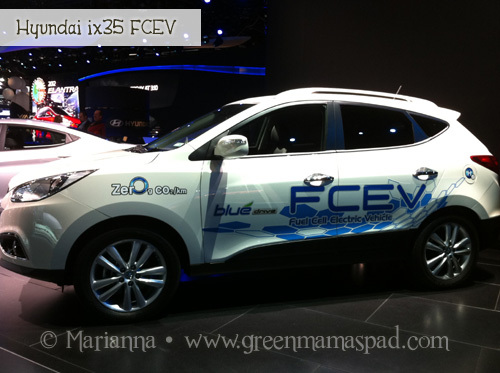 The Hyundai ix35 FCEV is really cool in that it is hydrogen powered. (FCEV = Fuel Cell Electric Vehicle) I didn't even know that car manufacturers were making hydrogen powered vehicles so this was a fun find. The ix35 has a driving range of 360 miles and my favorite part is that the only emissions are water vapors. I would love to get behind the wheel of one of these for a test drive. 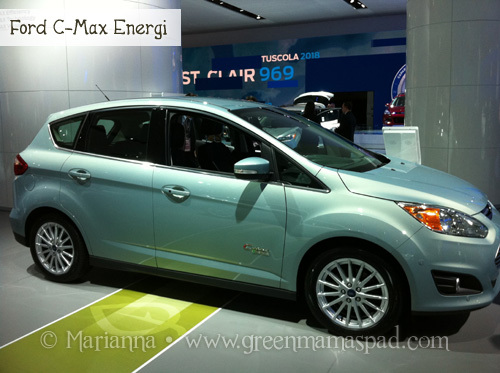 The 2013 C-Max Energi is yet another green car from Ford, who really impressed me with their range of alternative fuel cars at the show. 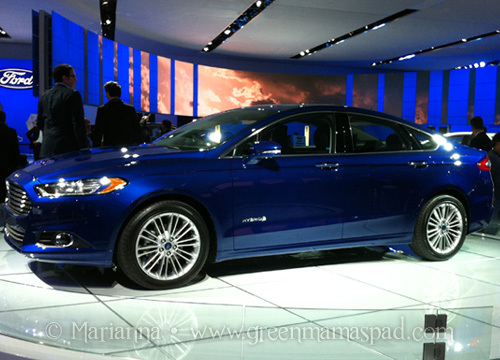 This plug-in hybrid has a combined range of 500+ miles and in pure electric mode can reach a top speed of 47 mph. 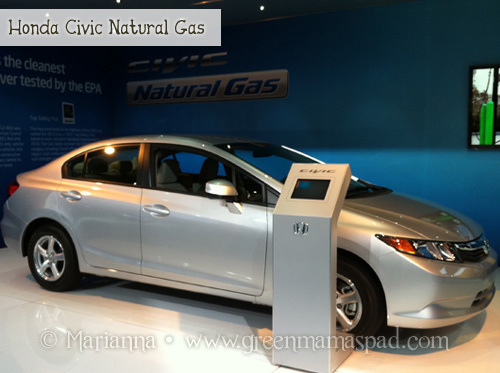 The Honda Civic Natural Gas took me by surprise. How do they get a vehicle to run on natural gas? All I could envision was a propane tank sitting under the hood, which probably wouldn't be very safe. Though I do love my Honda Odyssey minivan, I'm not all that impressed with this vehicle. Switching from oil to natural gas really isn't all that eco in my opinion, and the Civic Natural Gas only gets 27 MPG city and 38 MPG highway. On the plus side, because natural gas is clean burning, this vehicle produces near zero emissions. The all electric CODA won "Best Green Vehicle" at the San Diego Auto Show in December and certainly caught my attention in Detroit. While it doesn't have the flash and pizazz that some of the other green cars do, it is what it does that matters. The CODA features a Lithium Iron Phosphate battery, has a range of 150 miles and can reach a maximum speed of 85 MPH. 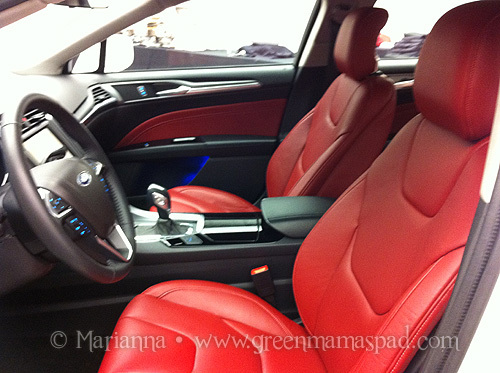 This five passenger vehicle also has an interior fabric option made of recycled materials. Starts at $39,900. 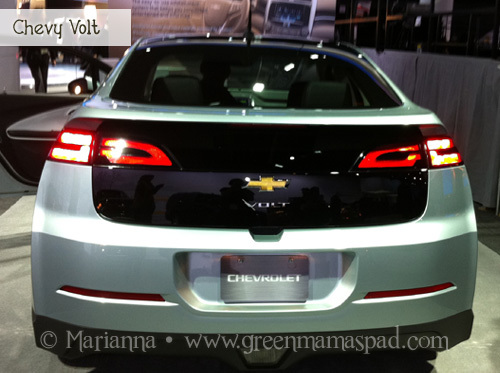 The Chevrolet Volt starts at $31,645 and features a battery that allows you to drive 35 miles gas free. There is also an onboard gas generator that produces electricity so you can go up to 375 additional miles on a full tank of gas. 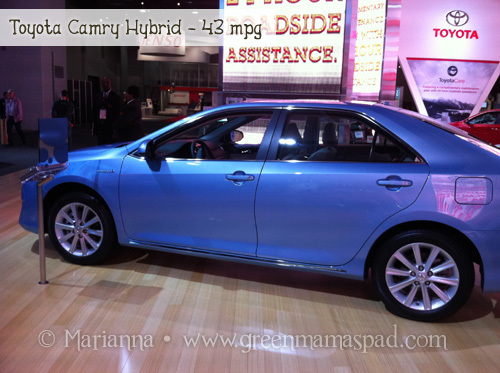 Toyota once again provides an affordable hybrid option with the 2012 Camry Hybrid. Starting at $25,900, this vehicle gets 43 MPG. This hybrid system consists of teams a four-cylinder engine, a high torque electric motor and nickel-metal hydride batteries. Finally we have the Tata eMO. Tata Technologies is based in India and had a few green concept cars to show off. This electric vehicle has a range of 100 miles and a top speed of 65 MPH. While this is just a concept car, Tata says that it would start at $20,000. 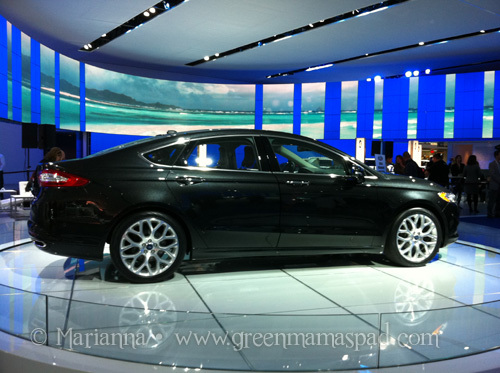 So that was a quick tour of some of the green cars that I was able to see at NAIAS 2012. Some of these are already on the road or will hit the roads soon while other may never ever see the road. But they are all pretty cool in their own way and I hope that the auto industry continues to make huge strides with alternative fuel vehicles. 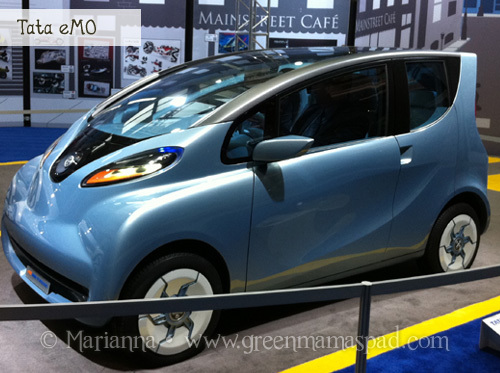 I'd love to see some solar powered concept cars next year. And yes, someone please make a green minivan for me! What do you think? Do any of these cars catch your eye or spark your interest?